Mother Nature has signaled us that it is time to clear a path for beautiful the new growth in our lawns. The winter has used all the nutrient’s of last spring’s green grass so we visit Home Depot and Lowe’s, where they have aisle after aisle lined with a wide variety of tools we can use to get rid of all the old grass and dead weeds. We spend hours trying to pick the right tool to clean out the old waste. Just as we get our lawns ready for warmer days, we should apply this concept to our bodies on a regular basis. 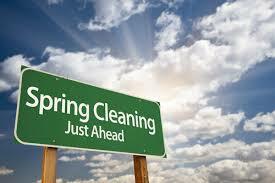 As you are rejuvenating your wardrobe, give your body a spring cleaning. Think of your body as your front lawn or your vegetable garden. Either way you’ve got to deep clean the soil, fertilize, plant some seeds, and give regular care. For now, let’s focus on Step #1: deep clean by way of detoxing. Without daily gentle detoxing, all the toxins and “dead” processed food build-up in the body, especially the colon (the body’s sewer system) causing a variety of common ailments. Minority health has improved over the last decade, but still does not match the health of white populations. In Michigan, as in the United States, racial and ethnic minority populations carry a disproportionately heavy burden from health disparities. According to the 2016 America’s Health Rankings annual report by the United Health Foundation, Michigan ranks #34 of the Healthiest Overall States. This is an improvement over our 2015 ranking of #35 and our 2012 ranking of #37. Medical experts have long recognized the effects of diet on the risk of cardiovascular disease and the relationship between diet and many other conditions, including specific cancers and diabetes have been documented more recently. Heart disease, cancer and diabetes are among the most common causes of illness, disability, and death in the United States. According to the Michigan Department of Health and Human Services, heart disease and cancer remain the leading causes of death in both Michigan and the United States. African American adults experience poorer outcomes than the general population for many health conditions. These chronic conditions and the factors that lead to them tend to be more common or severe for minority groups, particularly African American. · African Americans are 40% more likely than whites to have uncontrolled high blood pressure. · The rate of diagnosed diabetes is 77% higher among African Americans, 66% higher among Hispanics, and 18% higher among Asians than among whites. · Life expectancy for African Americans is 75.1 years, compared to 78.9 years for whites. · The prevalence of diabetes in Michigan and the United States has been steadily increasing over the past ten years. In each of the past ten years, the prevalence of diabetes in Michigan has been greater than that of the nation as a whole. Your fork is the most powerful tool you have that can help you make healthier food choices. Cementing the lifestyle habit of nutrient dense eating is simply a matter of being thoughtful about exactly what you put on your fork. 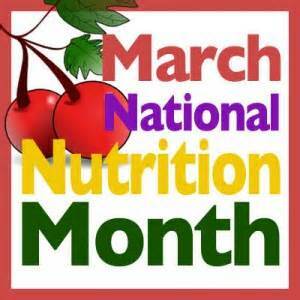 Choosing lean protein, vegetables, whole grains, and fruit is key to building a nutritious eating pattern. Taking our efforts a step further, doctors are aggressively promoting the benefits of plant-based nutrition as the most powerful source of preventative medicine on the planet. Dr. Joel Kahn , one of the world’s top cardiologists has treated thousands of acute heart attacks during his career and is personally and professionally committed to a plant based diet. He say, “Now is the time to focus on educating the public to eat clean, sweat clean and apply cutting edge science to their lifestyle.” His Greenspace Cafe in downtown Ferndale, MI is a great option for those searching for healthy dining experiences. 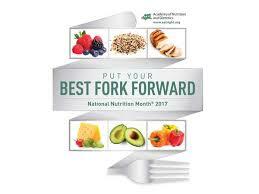 March is National Nutrition Month and this year's theme is "Put Your Best Fork Forward." 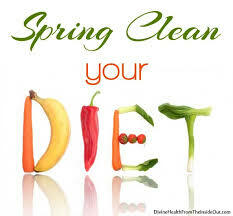 , The theme reminds us that the start of spring is the perfect time to overall your eating habits and make a few improvements. The fact of the matter is that we all have the tools to make healthier food choices. 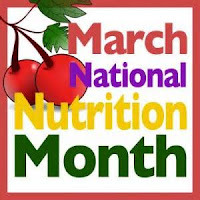 For more helpful tips visit www.eatright.org/nutritiontipsheets. 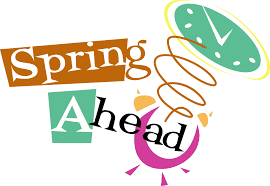 Now that we have set our clocks to daylight savings time, the countdown to the first day of spring (March 20th) begins. Just as our automobile needs seasonal maintenance, our live bodies are looking for a tune-up every time the season changes. Traditional Chinese Medicine recommend cleansing in harmony with the season. 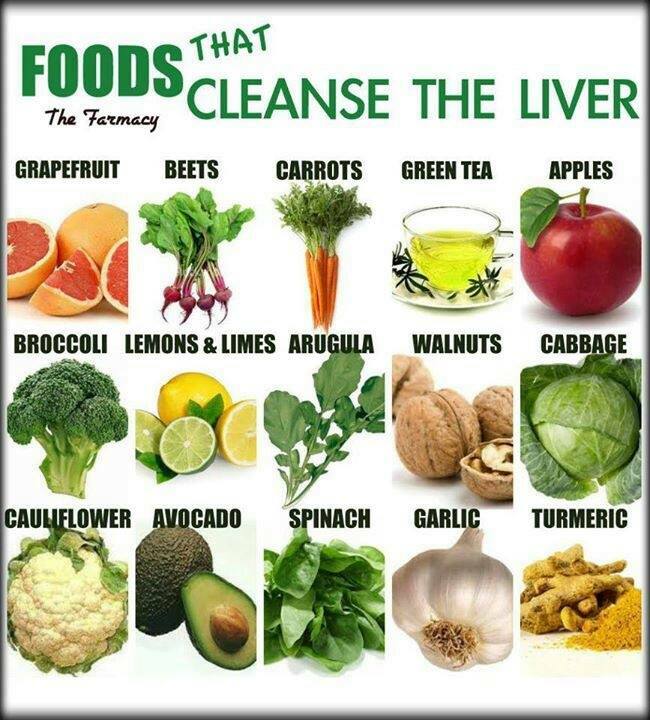 Spring is considered the best time for a cleansing tune-up, focusing on the liver. 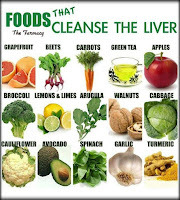 A healthy liver will establish a smooth and even flow of energy through the whole person, mind and body.